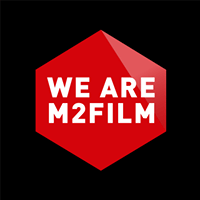 M2Film is a full-service provider of commercials and creative content for all platforms, employing more than 200 creative spirits in Aarhus, Copenhagen, London, and Bangkok. Our in-house facilities range from creative development to production, postproduction, and animation. M2 Entertainment, Picture This Studio, Duckling, and Hele Vejen are part of the M2 Group.